A true American icon, Laird’s Applejack is made by America’s oldest family-run distillers and was first created by William Laird in Monmouth, New Jersey in 1698. Favoured by George Washington and served in Abraham Lincoln’s tavern in 1833, Laird’s is recognised by the US government as America’s oldest native distilled beverage – older than bourbon. The oldest native American spirit – older than bourbon. 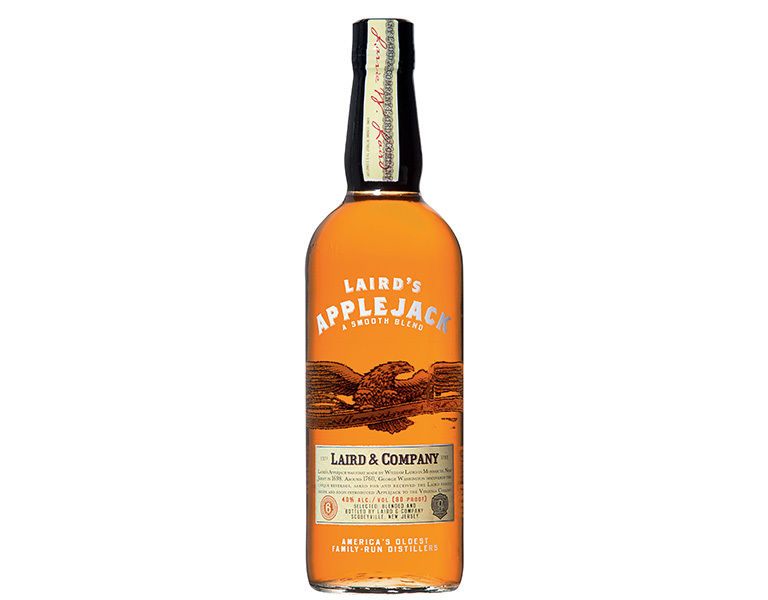 Laird’s Applejack is 35% apple brandy and 65% neutral spirits. It takes 6 pounds (2.7kg) of apples to make one bottleThe apples are grown mainly in Virginia. Natural fermentation is employed – no yeast is added. It is then distilled, then water added and aged 4 – 6 years. Laird’s Applejack makes a wonderful spirit base for cocktails and is used in several iconic classics including the Jack Rose and Stone Fence. It also makes an excellent Old Fashioned with maple syrup and chocolate bitters and it’s superbly refreshing in a highball with home-made ginger beer and lime. This 100% clear apple brandy is the pure expression of Laird’s un-aged apple distillate at 50% alcohol by volume. It explodes with flavours of figs, prune and apples. On the palate it is incredibly soft yet full with a rich taste of peaches and apples. It can be used in any cocktail as the main or complimentary ingredient. Perfect with tonic or in a Hailstorm Julep. This is 100% apple brandy, 100 proof, bottled in bond. Laird’s 100 proof straight apple brandy is the foundation for Laird’s applejack. Limited quantities available until 2015. One of the great spirits of the world and recognised as an icon in its native USA. A truly exquisite spirit only available in very limited quantities.